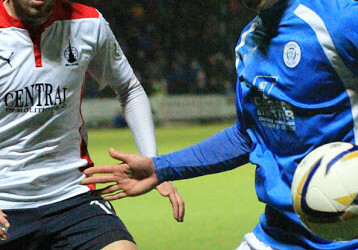 Queens earned a point at second placed Falkirk in an entertaining 2-2 draw. A brace from Stephen Dobbie was enough to set up a fifth placed encounter with Dunfermline next week. Gary Naysmith made three changes from last week`s 2-1 home defeat to Dumbarton. Scott Mercer, Lyndon Dykes and Dan Carmichael came into the starting eleven in place for Connor Murray, Dale Hilson and Connor McManus. Falkirk boss Peter Houston came into the match to cement their second position in the Championship. 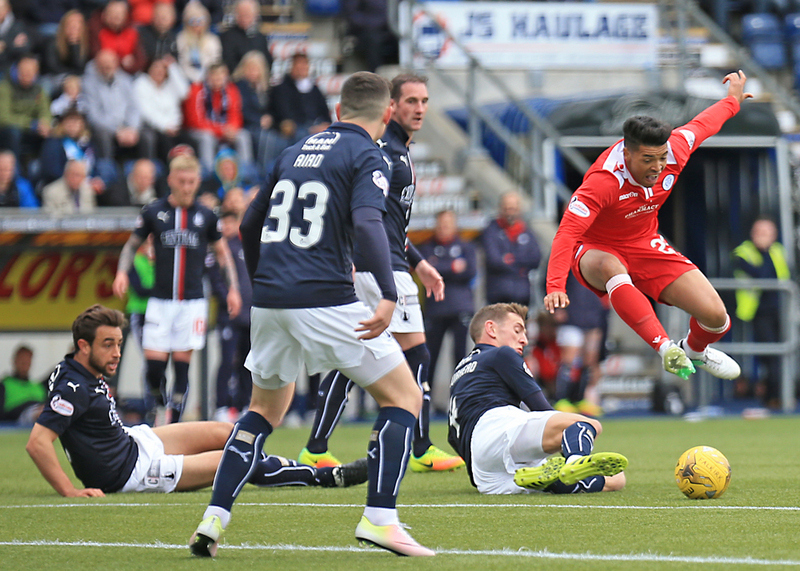 The Bairns side was littered with former Queen of the South players. Goalkeeper Robbie Thomson, Lewis Kidd, Mark Kerr and John Baird started with Bob McHugh on the bench. The hosts started the brightest and won a free-kick, a couple of yards from the penalty box when centre-back Darren Brownlie fouled Nathan Austin on 3 minutes. 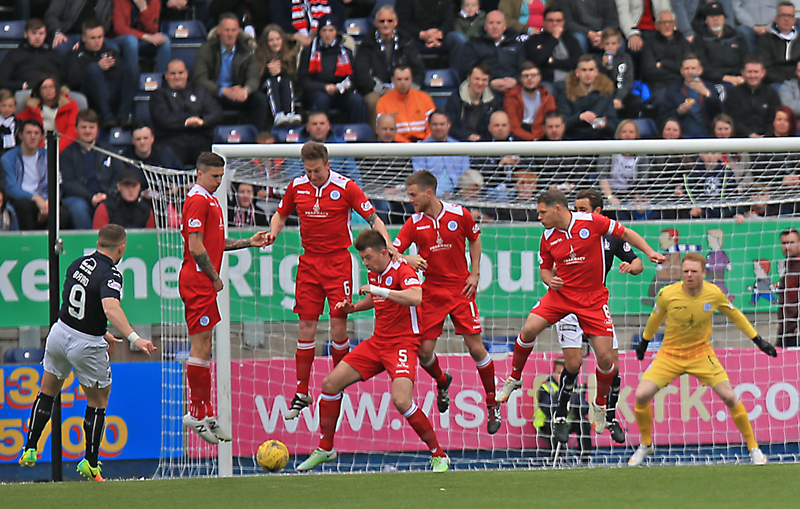 Ex-Queens striker Baird fired a free kick towards goal that was deflected out for Falkirk`s first corner of the match. Luke Leahy rose highest at the back post to direct the ball towards goal, but his header ended on top of Lee Robinson`s net. 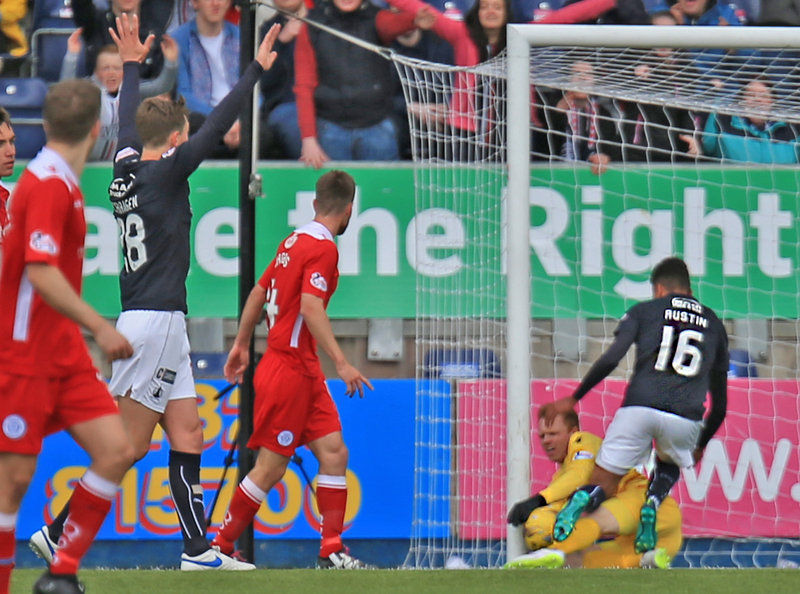 The Bairns continued to pressure the Queens defence early doors and after a succession of corners they had another chance to take the advantage but Craig Sibbald`s set piece into the box was too heavy for Baird and Peter Grant. Queens battled the storm and were rewarded on 9 minutes. 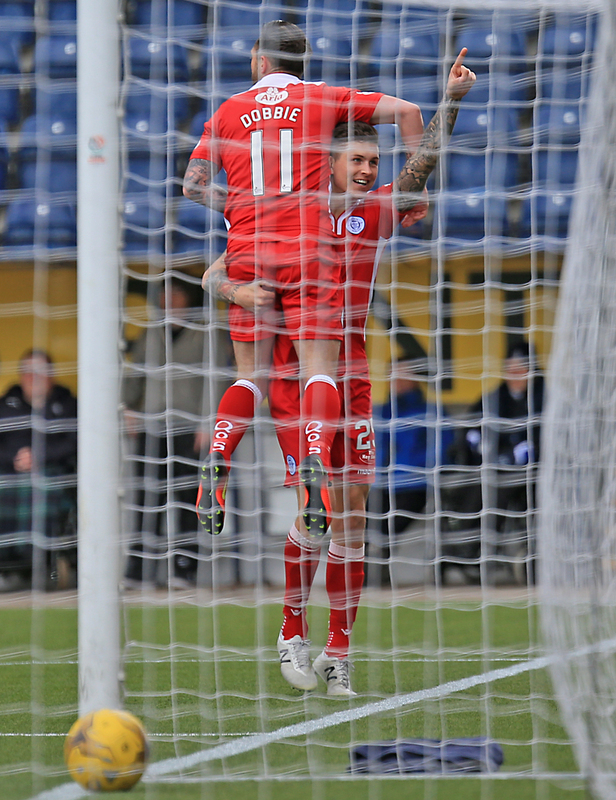 A quick throw-in from Carmichael went over the head of right-back Kidd to Dykes and the forward burst into the penalty box and cut back to Stephen Dobbie, who travelled at least 50 yards to get in the position and finished past Thomson for his 25th goal of the season. Houston`s men immediately set out looking for an equaliser with a number of attacks on the Queens goal. The home side drew level on 31 minutes when Austin headed home from close range after the ball broke back to him from a Mercer clearance. Lee Robinson pulled off a terrific full-stretch save to deny left-back Luke Leahy`s headed effort on the stroke of half time. After the restart it did take a while for both teams to settle with little chances to note. Both sides made changes on the hour mark. 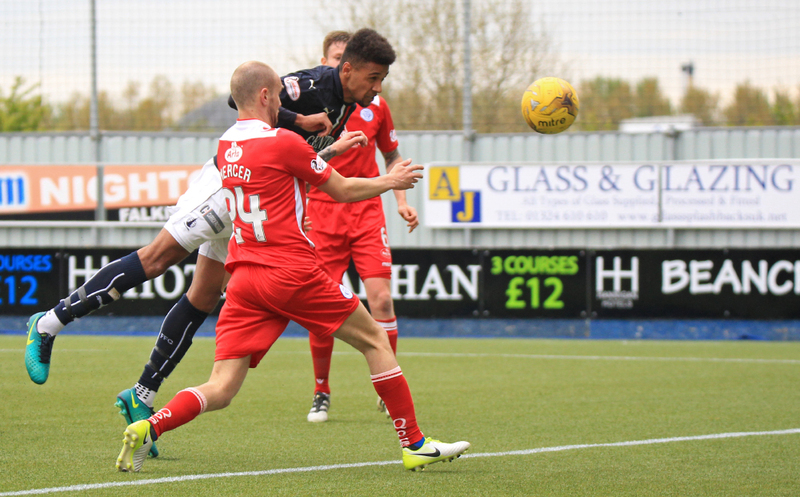 Winger Dom Thomas replaced Joe Thomson whilst Falkirk made a double substitution with McHugh and Fraser Aird replacing Lewis Kidd and John Baird. Striker Austin claimed for a penalty moments later but referee Crawford Allan wasn`t interested. The Doonhamers made their second change of the afternoon, with right-back Mercer replaced by Callum Tapping. The midfielder has been floored with an injury for the majority of the season. Kyle Jacobs reverted to right-back position for the remainder of the match. The match needed something to spark it into life and on 71 minutes when referee Allan pointed to spot after he deemed Robinson brought down Austin. The decision infuriated the travelling support and players, all claiming no contact was made. Dumfries born defender Aaron Muirhead hammered home the penalty and celebrated in front of the 199 Queens fans. But it was the Queens support who`d be celebrating seven minutes later when Thomas was given time and space to measure a cross from the left side and Dobbie got in between Leahy and Grant to place a great header into the left corner. The goal took his league goalscoring total to 19- level with Hibernian`s Jason Cummings. The former Blackpool hitman could`ve grabbed a hat-trick on 86 minutes but he dragged his shot wide. 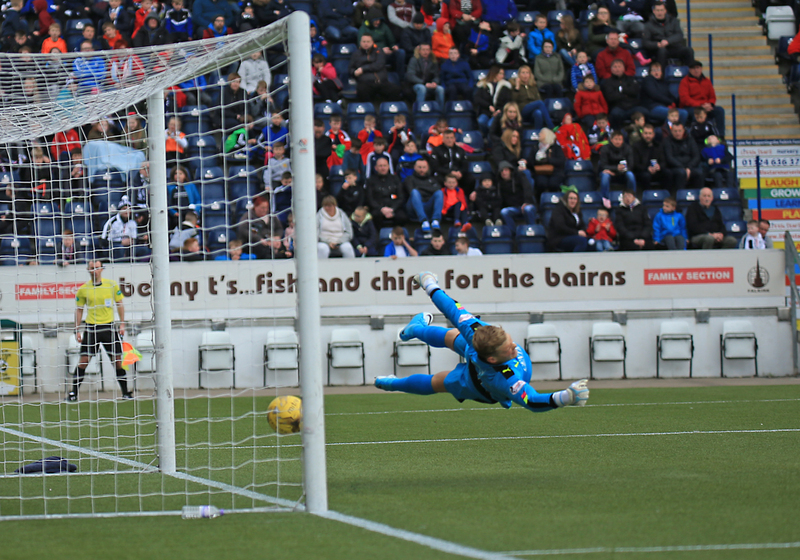 Two minutes from the end McHugh had the ball in the net but the assistant referee`s flag went up. It was a tight call with Peter Houston claiming in his post-match press conference that he was level. 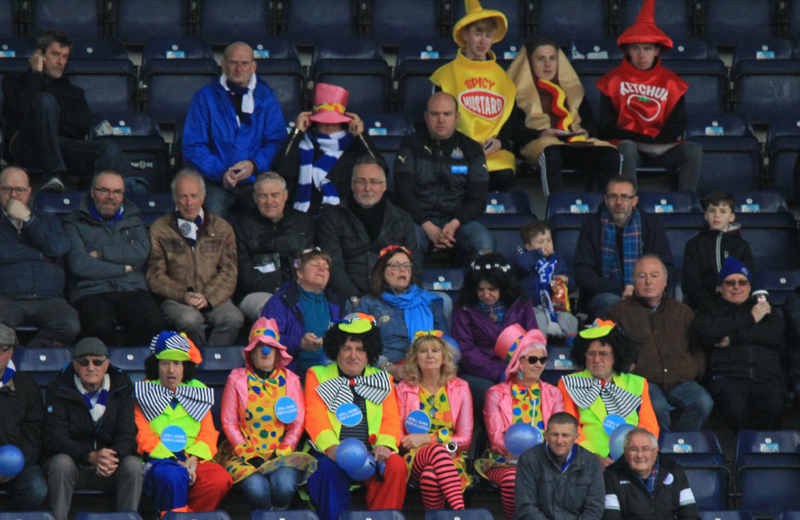 Queens earned a point at Falkirk for the second time this season, with the same 2-2 scoreline. Naysmith`s men will face Allan Johnston`s Dunfermline side next week for a battle for fifth place in the Championship. 14:48 Falkirk xi; Thomson, Kidd, Leahy, Muirhead, Taiwo, Kerr, Baird, Sibbald, Grant, Austin, Craigen. 14:49 Falkirk subs; Rogers, McCracken, McKee, Miller, McHugh, Shepherd, Aird. 15:00 The players are out and we`re moments from kick-off. 2 min Brownlie fouls the attacking Austin and gives away a free-kick in a dangerous position. 3 min Baird`s low free-kick is deflects out for a corner. 4 min Falkirk are causing problems for the Queens defenders and win another corner. 10 min Queens break away with Dykes and he squares to Dobbie who scores his 25th goal of the season. 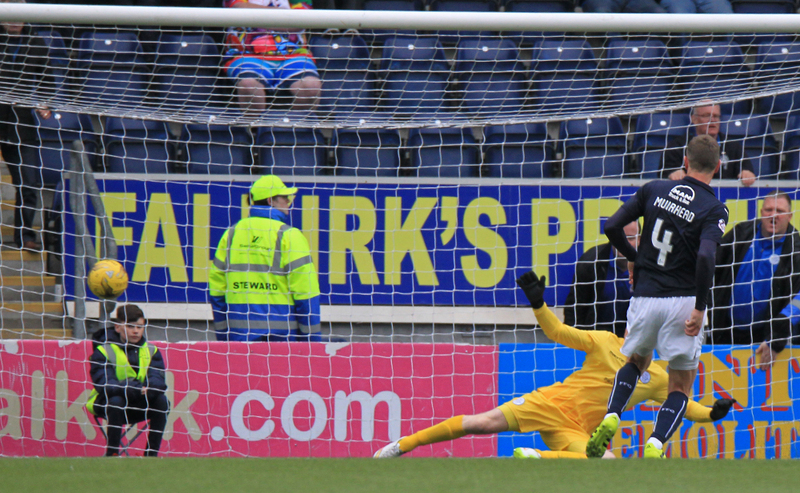 19 min Falkirk are pushing forward for an equaliser and win a flurry of corners but just can`t hit the back of the net. 32 min And we`re level here at Falkirk Stadium after Austin heads in the equaliser. 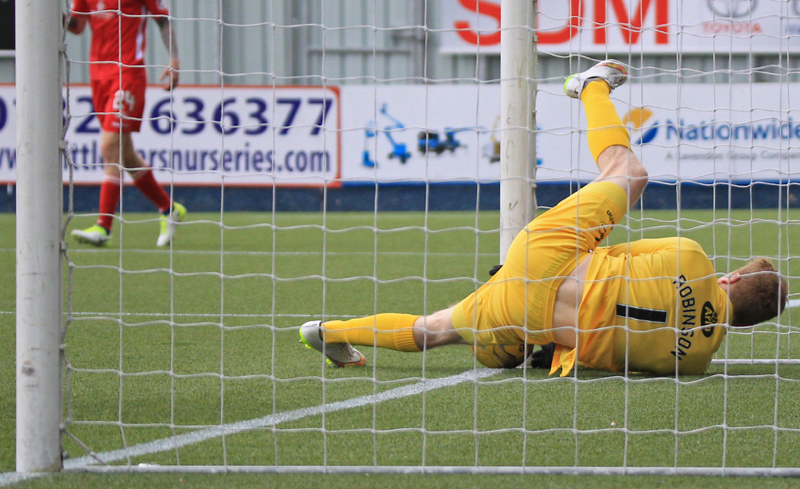 38 min Robinson makes a superb save to deny Leahy. 54 min Carmichael whips in a corner and Thomson collects. Still 1-1. 69 min Penalty to Falkirk. 69 min Robinson brings down Austin in the box and the referee points to the spot. Queens fans and players are not happy with the decision. 73 min Muirhead hammers home the penalty to give the Bairns the lead. 79 min Dobbie gets his second of the afternoon with a great finish. 86 min Substitution : McHugh on for puts the ball in the back of the net but the assistant had his flag up. Still 2-2. 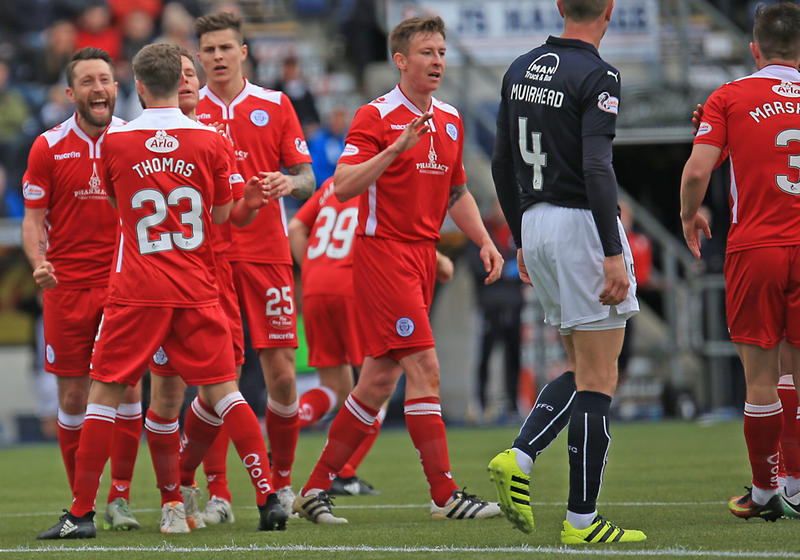 16:51 Queens draw 2-2 away to Falkirk for the second time this season.